Providing you the best range of gas fired industrial oven, electric industrial oven, oil fired industrial oven and continuous type conveyorized oven with effective & timely delivery. 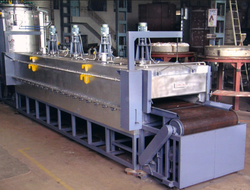 We are successfully ranked amongst the trustworthy entities offering a wide range of Gas Fired Industrial Oven. Carburization of steel involves a heat treatment of the metallic surface using a source of gas. Gas carburization can be used to increase the surface hardness of low carbon steel. Owing to the expertise of our team of experienced professionals, we are able to introduce an exclusive range of Oil Fired Industrial Oven. The oven offers uniform temperatures in the range 1100–1500°C (2000–2800°F). 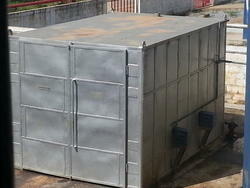 Further, it delivers low contamination of the product by carbon, oxygen and other gases. In addition, the process can be computer controlled to ensure metallurgical repeatability along with quick cooling of products. Apart from this, clients can get the oven from us at industry leading prices. Are rugged & does not get damaged due to backfire. of temperature through the chamber with + - 5 Deg.C accuracy. Since our commencement, our firm is engaged to introduce a premium quality array of Continuous Type Conveyorised Oven. 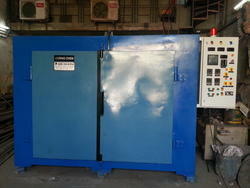 This oven is commonly found getting used in industrial applications. 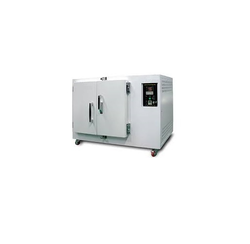 The offered oven has single door for baking, heating and making molded products. It requires less space for installation and can be moved easily.